Have you ever tried to make blue food? Sounds a bit odd doesn’t it? 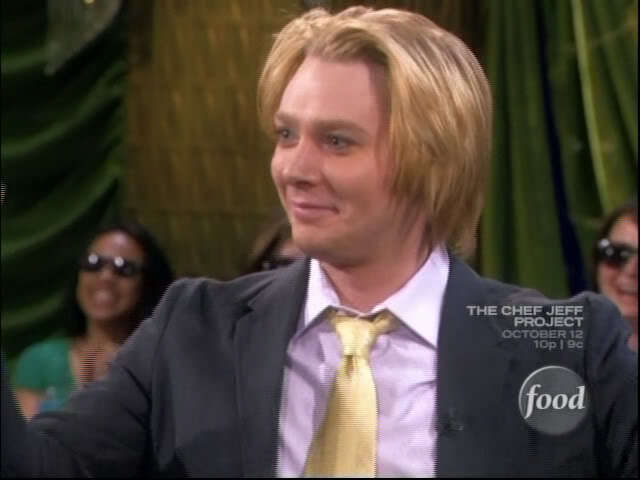 Well, that’s exactly what Clay Aiken did on September 27, 2008. Clay was a guest on Paula’s Party, a cooking show on the Food Network, hosted by Paula Deen. The theme for this show was “House of Blues Party.” All the dishes cooked that day were blue. As the featured guest of the show Clay assisted Paula in preparing a blue-corn crusted bass. It included a blueberry sauce. Clay and Paula seemed to have a great time together and they joked together as they cooked. Paula asked Clay about his new CD, On My Way Here. Because of all the banter and attempts at cooking, Clay got out about two sentences about the project. 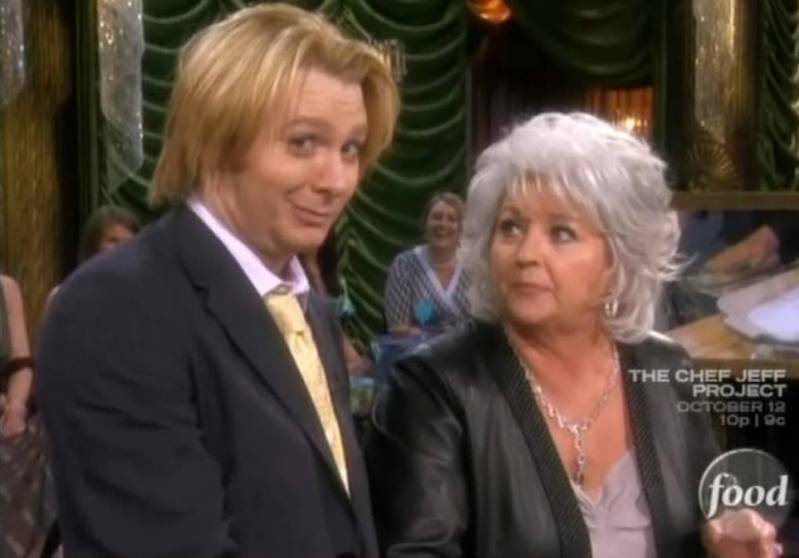 It is not surprising that Paula and Clay got along so well. They seem to have much in common. Paula calls Savannah, Georgia home so both Paula and Clay have their roots in the south. When in her twenties, Paula suffered from panic attacks. She is proud to say that she overcame the illness without therapy. Besides her work on the Food Network, Paula Deen has owned a restaurant in Savannah, Georgia called The Lady & Sons which she runs with her two sons. She has also published 5 cookbooks. Clay’s visit to this show was very different from most of his other appearances and it was very fun. In June 2013, Deen was the target of a lawsuit alleging racial and sexual discrimination. The case was heard in August 2013, with the judge dismissing the suit with prejudice, meaning it cannot be re-filed. The following video shows most of the segment that included Clay. It is well worth watching. Did you see this show in 2008? Would you try the Blue Crusted Fish? 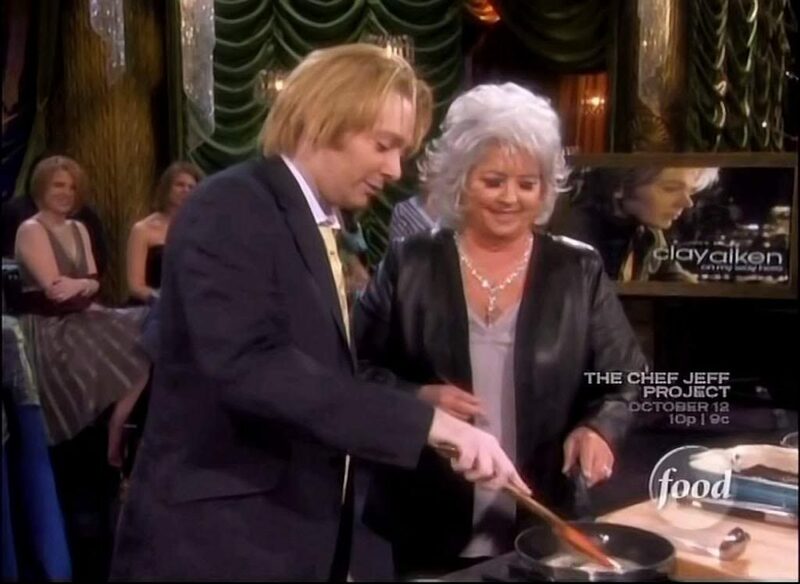 I don't normally watch Paula Deen, but I did the day Clay was on "cooking"! Fun times! I'm sure Clay is going to pop-up soon and surprise us all. I imagine he is still in NC busy with his family with the aftermath of Florence and rehearsing for the Gala! I didn't see this show when it was on, so I really enjoyed watching Clay in the kitchen. Thanks! It is time for Clay to get over his summer vacation and come back where we can see him regularly. Error: Error validating access token: Session has expired on Tuesday, 21-Aug-18 16:13:01 PDT. The current time is Friday, 19-Apr-19 05:25:33 PDT.